Sign Up Today, Take Advantage of our New Offers! Regardless of the size of your home in Durant, OK, Ardmore, Hugo or around southern Oklahoma we’ll recommend a security setup tailored to your security needs and budget.Get the peace of mind you deserve with our smart home security solutions. 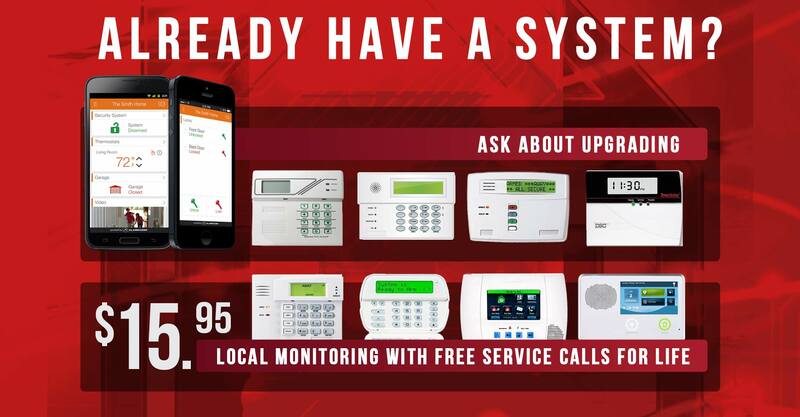 We’re an authorized dealer specializing in convenient, easy to operate and manage smart home security and alarm systems. Our local monitoring center is top notch. Our goal is to perfectly suite every home and business that gives us a call so we have a customer for life. If you are unsatisfied for any reason, just contact us and we will make it right. Our systems are designed for your convenience. You’ll be able to decide where you need security and who can access your settings. We use the Alarm.com app to allow access to your system’s settings from your phone. With this technology, your home in Durant can instantly become a “smart home” that can be controlled from any smartphone, computer, tablet, or similar device. • Integrated two-way voice capabilities since the central station can interact with the homeowner when a signal is received. • Built-in Z-wave RF protocol that can be used to control lighting and other home functions. • 60 wireless zones and 2 hardware zones. If anyone is attempting to enter your home, you’ll automatically be notified. You’ll also receive alerts when someone is at your door, even if you’re not home at the time. You can even talk to individuals outside of your home before deciding whether or not to allow entry. Provide added security for your children or other welcome visitors with the ability to unlock doors with the press of button. Our smart home security systems also allow you to turn on lights and make other adjustments to your home’s settings as necessary. Why Consider Smart Home Security? There are plenty of good reasons to consider our smart security products and services for your home in Durant. As an added incentive to arrange for installation today, you’ll a special for this month only. Make a wise investment with our smart home security products and services. We invite you to join our growing list of satisfied homeowners in the Durant area. Contact us today to get started with an initial consultation to discuss your home security priorities. Are You in Durant, OK? We’ll Call You! The county seat of Bryan County. With a population of over 15,000 according to the last cencus taken in 2010 Durant is the 2nd biggest city of Choctaw Nation. The city is home to a multi sports complex as well as an annual Magnolia Festival in the arts department.